It may not be a big-name Florida city like Miami, Tampa, St. Petersburg or Orlando, but Sarasota, on Florida’s southwest coast, is the place to go for all the conveniences of a big city in a small package. Located about 40 miles south of the Tampa Bay area, Sarasota has a variety of attractions and events that attract the arts-minded tourist who’s interested in more than just riding some gussied-up roller coasters. Sarasota is known as the “Circus Town.” The city was once the winter quarters of the “Greatest Show on Earth,” hence, the moniker.The work and contributions of John Ringling, of Ringling Brothers and Barnum & Bailey Circus, have made the city a cultural capital. John and his wife Mable built a mansion on Sarasota Bay and set out to collect art by Peter Paul Reubens and other Flemish and Italian masters of the 17th century. That collection today is called the John & Mable Ringling Museum of Art. Ringling’s name is also immortalized as an avenue in downtown Sarasota. Downtown Sarasota is in the midst of a building boom, with condos, office buildings and shopping either in place, under construction or planned. In addition, urban renewal projects are working to make a better life for the city’s less-fortunate citizens. As befits a cultural capital, it’s the small galleries by artists in various media that make the arts scene vibrant. Galleries are scattered throughout the city and surrounding area, and even amateur artists take their crafts seriously. Other Sarasota attractions include the Mote Marine Laboratory and Aquarium, the Pelican Man Sanctuary, Selby Gardens and Jungle Gardens. Arts and cultural events are presented at the Van Wezel Performing Arts Hall, Asolo Theatre, Florida Studio Theatre and Sarasota Opera House. The city hosts an annual book fair and film festival, too. To the east, Myakka River State Park offers one of Florida’s largest and most diverse natural areas. It was developed by the Civilian Conservation Corps in 1934 and some of the original buildings are still in use. It offers a scenic drive, dirt roads, hiking trails and more. When you’ve had enough exploring in Sarasota, it’s time to hit the beaches. Sarasota features 35 miles of sand and several beautiful keys on the Gulf of Mexico that are well-known to sun-and-fun lovers, including St. Armands Key, Longboat Key, Lido Key, Bird Key, Siesta Key (considered by some to have the whitest and finest sand in the world), Casey Key, Venice Beach, Anna Maria Island and Bradenton Beach. Sarasota’s weather is mild, especially compared to some other places in the winter. 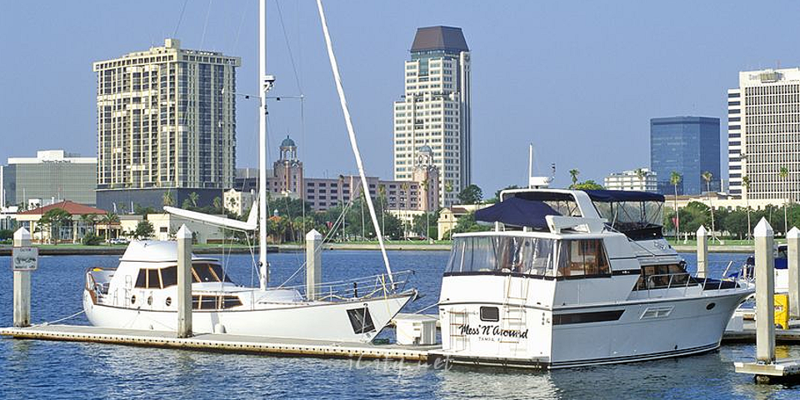 Sarasota is well-connected to the northern parts of West and Central Florida by Interstate 75 and Interstate 275. Traveling south, Interstate 75 offers a reasonably fast ride, but U.S. 41 (the legendary Tamiami Trail of years gone by) is presently used only for local travel due to road construction, congestion and its many traffic lights. State Road 70 provides access to the eastern part of the state. The road is a two-lane divided highway across Florida, and there are several areas now under construction, which can cause delays. Some who visit Sarasota fly to Tampa International Airport and then drive south, but Sarasota-Bradenton International Airport has service from Delta Air Lines, mainly to and from Atlanta for connections; ATA Airlines, which is establishing a code-sharing arrangement with Southwest for flights to Chicago-Midway; and AirTran Airways, which offers direct service to and from Baltimore, Chicago-Midway and Atlanta, and has connections to other cities. There is so much to see and do in Sarasota that more than one visit may be required!